Wool Week 2014 is upon us... a week in which to celebrate this unique, natural, renewable and biodegradable fibre. 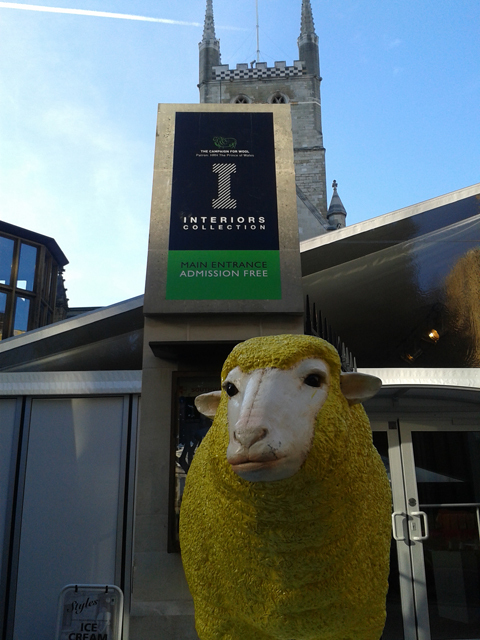 As part of Wool Week, The Campaign for Wool Interiors Collection is a free exhibiton that is being held between 5th - 12th October in London's iconic Southwark Cathedral. Here in honour of the 5th anniversary of The Campaign for Wool, Bridgette Kelly and Arabella McNie have brought together an inspiring collection of fabrics, furnishings, flooring and artwork that showcase this natural fibre's aesthetic and versitility. We're delighted to say that our Hyde Stool is part of the collection and sits in great company alongside the distinctive April sofa by Modus, striking fabric by Wallace Sewell , contemporary felt laundry baskets by Hey Sign and the playful Hush pod by Freyja Sewell. To view the full range of products on show please feel free to visit Southwark Cathedral this week, or alternatively you can view them online at The Campaign For Wool's Gallery.